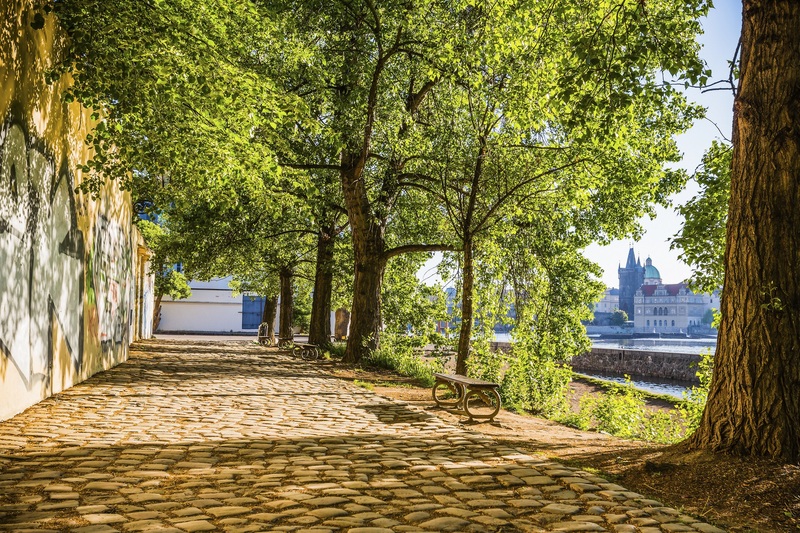 This park – an island between the Vltava River and its side branch, Čertovka, where you can see the huge mill wheel of the 15th century former Grand Priory Mill, is one of the most romantic and picturesque places in the city. Not surprisingly, the prestigious traveler's server VirtualTourist declared it the second most beautiful city island in the world. Grassy areas of the island are widely used for picnics and relaxation. Kampa Park is situated on an island by waterfront called Malostranské nábřeží. 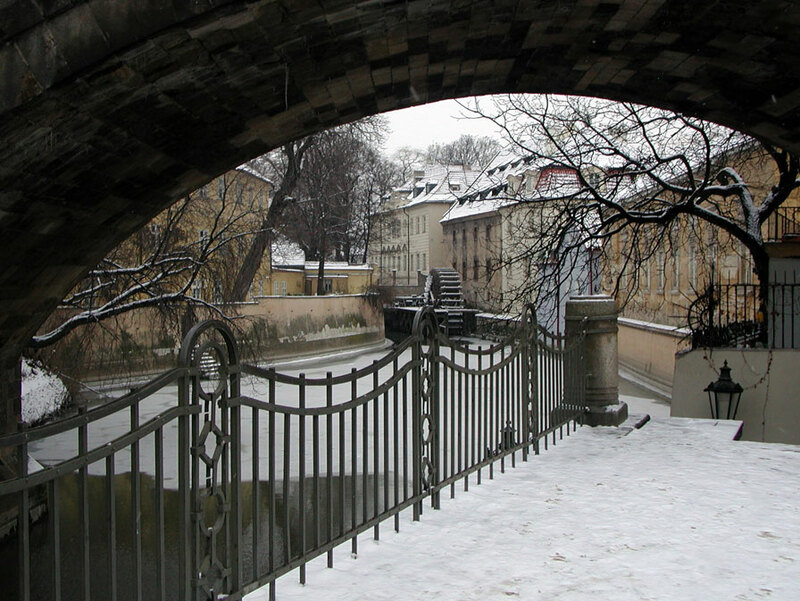 The earliest mention of Kampa is from 1169 in the foundation charter of the Church of the Maltese Order during the reign of King Vladislav II. 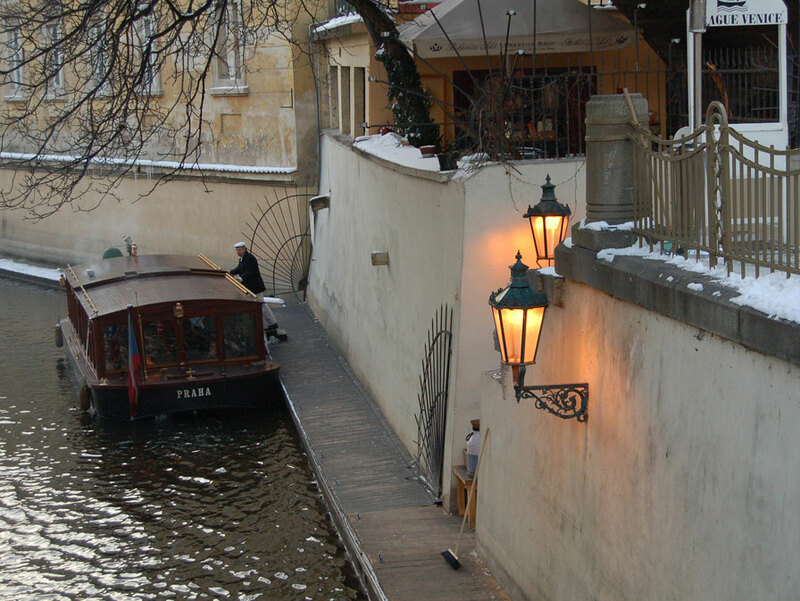 An origin of the name Kampa is not entirely clear. It either comes from the word “campus”, alias a field or a plain that ones stretched here or from the word “zákampí” which means a shady spot. Another option is that the name was derived from Tycho Gansgeb of Kampa who owned a house there in the 17th century. 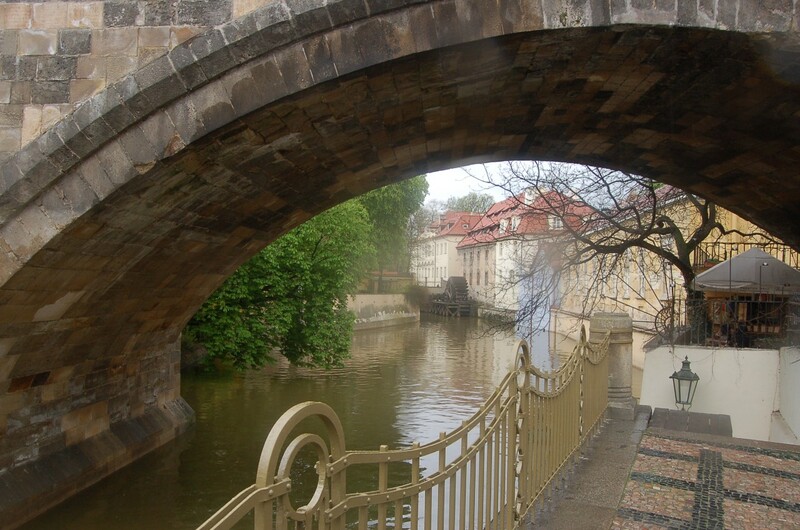 The Devil’s Stream (Čertovka) is an artificial and distributary channel of the Vltava River, originally named as the Rosenberg Race (Rožmberská strouha) in 1585 after the owner of local land Vilém of Rožmberk. The current name the Devil’s Stream is derived from the Seven Devils House (U sedmi čertů). The charming nook of Prague is also called Prague Venice (Pražské Benátky). The height of the island had been gradually rising due to natural sediments and backfill, in particular after the great fire in the Lesser Town (Malá Strana) and Hradčany in 1541. The riverbanks were firmly formed after 1600. At first, the island was gradually filled by gardens, so the building development did not start earlier than in the15th century. The very first buildings were mills with adjunct plots (mill gardens), which were later on converted to aristocratic gardens. The first at the Smíchov side was the largest Baroque garden – Michnovská Garden built in the 17th century by Earl Michna of Vacínov as a part of Michnovský Palace behind the Devil’s Stream in Újezd. In front of the palace in the Devil’s Stream a big wooden mill wheel, which is a reminiscence of the local mill called Huť, rotates there. In the 18th century the Michnovský Palace became an armory and this is reminded only by the name of the Old Armory restaurant at the same place. Odolkovská Garden is adjacent to the building of former Sova's mill, named after Václav Sova of Liboslav, the owner of the mill in the 15th century). In the 19th century the mill belonged to the well-known baker family of Odkoleks that had the Renaissance building rebuilt in the Neo-Gothic style by the architect Josef Václavík. Odkolkovská Garden is linked to Kaisersten Garden, which surrounds Kaisersten Palace, currently called Lichtenštejn Palace and spreads towards the house which Earl Nostic gave to the Czech revivalist Josef Dobrovský. In front of the house stands a monument dedicated to Josef Dobrovský, which was moved there from Vrchlický Gardens in 1949. It was made of Carrara marble by the sculptor Václav Žďárský in 1902, using a design by prof. Tomáš Seidan. 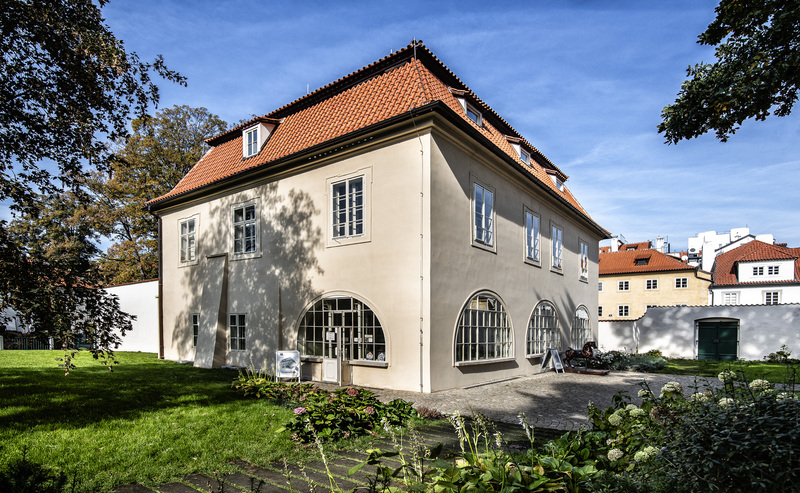 In the course of the First Republic, the place was home to the academic Zdeněk Wirth, after the war to Jan Werich (both having busts installed on the house) and Vladimír Holan. The founder of Kaisersten Gardens František Helfríd of Kaisersten had the famous beds of carnations beautified by fountains here. Behind the house there is Nostic Garden founded by František Antonín Nostic in 1765 at Nostic Palace. Current gardens of 2.65 hectares were created by uniting these gardens. In the 1950s the walls and fences of individual gardens were removed, the terrain was leveled and only some notable trees have remained from original neglected vegetation. 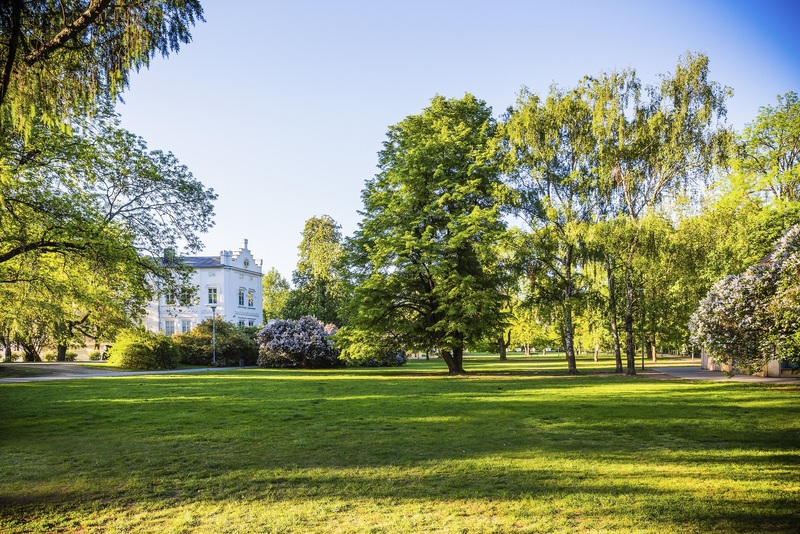 The park was adjusted into its present form in the years 1947 – 1948 in the open landscape English style. From the bridging of the Devil’s Stream (Čertovka), a large, regularly maintained mill wheel of former Grand Priory Mill (Velkopřevorský mlýn) can be seen, which used to stand there as early as in 1400. The island had long been known for its pottery markets which already took place there at the turn of the 16th and 17th centuries. Apart from the residents of Josef Dobrovský House many other personalities of our cultural life lived there: in the house No. 514, called the House at the picture of the Virgin Mary (U obrázku Panny Marie) lived in the years between1903 and 1934 the painter and illustrator Adolf Kašpar, in No. 493 lived Antonín Renner, a collector of curiosities and technical inventions, moreover Alois Mrštík, Karel Matěj Čapek-Chod, Eduard Kohout, Jiří Trnka and Jiří Voskovec lived there. At the edge of the Grand Priory Square (Velkopřevorské náměstí) there is the Lennon Wall where young people come annually on December 8, the day of his tragic death, to light candles and honor his memory.